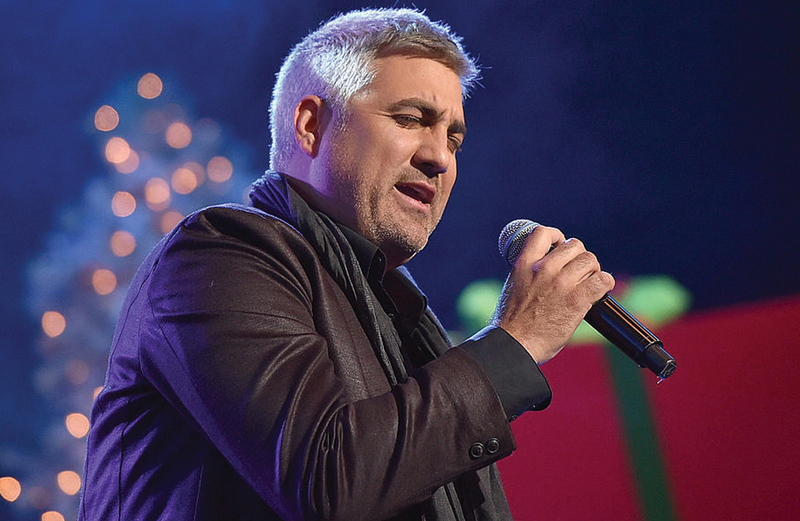 Taking things slow and easy isn’t really Taylor Hicks’ style. The multi-talented performer always seems to be in a hurry, ready for the next challenge, making plans for what’s next on the agenda. Hicks knows a bit about being in the right place at the right time from personal experience. When opportunity came knocking, Hicks not only opened the door, he kicked it in. His personal twist of fate came in New Orleans, the night before Hurricane Katrina made landfall on Aug. 29, 2005. With his flight cancelled, he was given a free airplane voucher. Hicks quickly used the ticket to travel to Las Vegas, where “American Idol” auditions were being held. They saw the Alabama country boy’s unique take on Southern rock, R&B, and blues, as he poured his heart and soul into every song he performed. Hicks was a little different than the typical pop-singing, teenage idol contestant audiences were used to seeing. He had age and experience under his belt and he knew how to play to a crowd — both those in the live studio audience and those watching at home. Not only did Hicks win, he made television history when audiences made the finale one of the most watched TV programs of the decade. It was Hicks’ stage that evening and his world hasn’t stopped spinning since. Less than three weeks after Hicks’ “Idol” win, his debut single, “Do I Make You Proud,” entered at No. 1 on Billboard’s Hot 100, Pop 100 and Single Sales charts, with first-week sales over 190,000 units. Coinciding with the single’s release, a cover story named him People magazine’s “Hottest Bachelor of the Year.” His self-titled album debuted at #2 on the Billboard 200 and was quickly certified RIAA Platinum. He starred in the hit Broadway musical “Grease” as Teen Angel and when he was asked to join the national tour, he happily agreed. The 18-month tour connected him to fans across the U.S. He landed a residency at both Bally’s Las Vegas and Paris Las Vegas for more than two years, making him the first “Idol” winner in history to secure a long-term agreement in Vegas and he became one of the most popular acts in the city. Since then he has hit the ground running releasing one successful album after another and traveling the country bringing his live show to his fans. You’re like the Energizer Bunny, except he dies when his battery dies. You keep going and you don’t slow down? Do you ever just breathe? Hicks: Well, I think the more work, the better, you know? That’s something that I’m very blessed with — to try to get as many opportunities as I can to really work as much as I can and it keeps me busy. You know, opportunity creates luck. I’m very fortunate to still have opportunities and I try to gather as many as I can. Now we’re finishing the record, and we’re moving to more of the musical phase now that shooting the TV show “State Plate” is over and we’re premiering the new season of the food and travel show (on the INSP network). It’s time to focus on getting the record out and also gearing up for a tour this spring and some of these casino shows are the perfect precursor to getting the music out there and building a good live show for a tour. I like high-energy shows, that’s the thing, and I think people enjoy that, too. You have a new single out, “Six Strings & Diamond Rings.” Is that one of your originals? What was your inspiration for the song? Hicks: It is one of my songs, and it’s about the road. I’ve obviously spent a lot of time on the road in the last 13 years, and I’ve always wanted to as a musician and someone that really loves to perform, and loves to be a part of the business. That’s something that I’m fortunate to have. That particular song is perfect for kind of where I am from a lifestyle perspective. And that song kind of hits home with me…might as well write about the road if you’re on it. You’re on a road that doesn’t seem to end. Hicks: It sure is and it’s long. The songs go on forever and the party never ends. It’s not a swan song, the swan hasn’t sung yet. When do you find you are most inspired when you’re in love, angry, heartbroken, hungry? Hicks: All of the above, although I haven’t written a song based on hunger because I’ve been on a food and travel show for two and a half years. I haven’t been hungry for food, so there isn’t anything to write about at this point. Hicks: That’s true. I think the writing process for me…it’s been a good while since I’ve released music. So I’m really excited about putting the finishing touches on this record and this particular record is kind of where I am in my life. All of these songs have great representation of where I am with ideas and thoughts—about what great music should be. I’ve been able to produce it myself and release it myself, and that’s something that I’m lucky to do. I’ve been in this business 13 years, so I’ve been here long enough to where I can release and write my own records and I’m excited about it. Does this album have a name yet? Hicks: I’m putting the finishing touches on it. We’re still working on a name. I know that a lot fans out there want new music, and they want it now. It’s kind of the Veruca Salt (Willy Wonka reference) mentality, of “I don’t care how, I want it now,” but there has to be a plan sonically. There also has to be a plan from a marketing perspective, and once both of those things get in line, then the right release happens. You don’t want to jump the gun on any of that. Hicks: No, we do not want to be a giant blueberry. Any other projects you’d like to mention? Hicks: Obviously the premier of “State Plate” is going to happen this fall, and I’m really excited about that coming out, along with the record. I’m really trying to put together a plan to host more television in addition to co-owning SAW’s BBQ in Birmingham. We’re trying to expand the brand, not just from a state perspective in Alabama, but from points further than that. All of that keeps me pretty busy. Is there a crowd favorite no matter where you perform? Hicks: I would think “Taking it to the Streets,” the Michael McDonald cover is a favorite, and obviously “In the Ghetto” by Elvis is a song I did on the show. Then my original “Nineteen” is a very patriotic number off the last record that really is a moving tribute to those that have served and are serving and that’s always a crowd favorite no matter where I go. I make sure those are in the repertoire and they do really well. Of all the accomplishments, accolades so far, is there one that means the most to you? Hicks: I would say winning “American Idol,” allowed me to catapult and springboard to be able to really have a long-standing career and to have all of these opportunities. I am forever indebted to the show and to the people that allowed me to move through the show like that. What, not the Hottest Bachelor of the Year? Hicks: That is very true. I’m proof positive there is success after “Idol,” and that’s based on reinvention. I’ve reinvented myself a few times —enough for people to still be interviewing me. When you do this — I’ve been performing professionally since I was 17 — and when you believe in your vision, as crazy as it sounds, and it materializes, the transition from obscurity to fame was very easy for me. I just knew down deep inside that it was going to happen and I was preparing very early for this to be my calling because I believed that it was. There’s not very many alumni still doing it? Hicks: There’s a handful of us. So I’m thankful that I can be included within that handful and I guess it’s just onward and forward from here.